Lineup optimization: Where should Nats bat Harper? 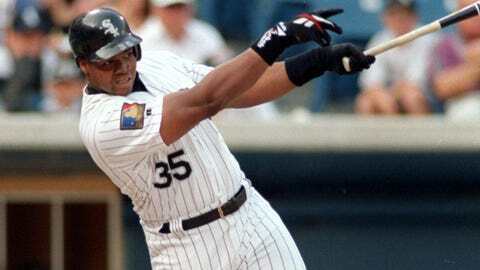 Frank Thomas primarily hit in the No. 3 spot during his Hall of Fame career. I never thought I’d find myself in a heated but inspiring debate with a first ballot Hall of Famer. The topic? Lineup optimization. Frank Thomas and I come at this from different corners. 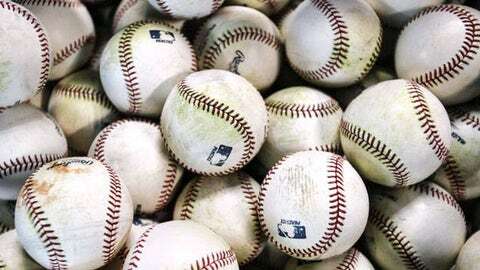 I hit in every spot of the lineup, 1 through 9, during my MLB career. Thomas experienced the winds of change around him, Carlos Lee and Paul Konerko, Magglio Ordonez and Harold Baines; Frank regularly slept in one of two beds, the 3 or 4 hole with the White Sox. Our conversation began, innocuously enough, as a chat about Washington’s Bryce Harper, his unique offensive skill-set and where he should slot into a batting order. Frank and I are equally awed by Harper’s tremendous power and focused presence in the batter’s box. We’ve each seen enough extraordinary hitters to identify Harper as a member of that elite club. Frank was frustrated by the fact that the Nats randomly place Harper into various positions in their lineup. “Just stick him in the three hole and leave him there,” Frank stated emphatically on the set of MLBWhiparound on FOX Sports 1 this past weekend. The Big Hurt believes that Ryan Zimmerman should hit fourth and provide a cozy, fluffy blanket for the 21-year-old phenom. Sticking with the bedding theme, Thomas and I agree that for the foreseeable future, it may be optimal (for his psyche) to provide Harper with a comfortable, everyday mattress in the Nats’ lineup. Ultimately, though, the question is about the optimal way to play the game. Frank asserts that flip-flopping between the 3 and 4 holes with your team’s other slugger, similar to the way Ramirez and Ortiz traded spaces in Boston, or Braun and Fielder did in Milwaukee, is an exercise in intelligent behavior and baseball strategy. Frank’s gut tells him that it keeps pitchers guessing and allows for matchup tweaks. The first issue to resolve is identifying the skills of our players. We need to know who they are, their offensive makeups, in order to determine where they should hit. We’ll stick with Thomas as an example. For the vast majority of his career, he was unequivocally two things — the guy with the best skillset to reach base, and the man most likely to hit a home run. I love anecdotal evidence like the next guy, and it’s fun to hear Frank’s stories about what it felt like to be protected or to protect a teammate in the flow of a lineup. But despite the fact that I never got a grade higher than a C in any math class, I love numbers and stats. Anecdote (and Frank) tells me that, as the best hitter on his team, he should hit third. My brain disagrees. If I’m the manager of the 1994 White Sox, when Frank hit 38 home runs and reached base at a .487 clip (not a typo), he bats fourth for me. I’ve made the determination that he’s the best home run hitter and on base guy that I have. I want evidence, the hard quantifiable science, about my baseball decisions. When I can get my hands on data, it provides fuel. That’s why my conversation with Frank was so interesting. I would hit Harper in the 2 hole in the Nats’ lineup. Although Harper is not quite their best home run hitter, yet (that title still rightfully belongs to Zimmerman), we agreed that he’s the Nats’ slightly more human version of Mike Trout (who nests snugly in the second spot of the Angels’ order). The reference to sacrificing comes from the archaic paradigm that the man batting second should be a bat control guy, a scrappy little sucker (think David Eckstein) best equipped to give his out away to move a runner from one base to the next. Yuk. The guy hitting second is going to come up four, maybe five times in a game. Because that spot is coming up multiple times, I know for sure I want Harper or a man capable of splitting a gap or putting a ball in the upper deck, not a guy who can only move the runners 90 feet. The numbers are clear, but aren’t the only factor. Usually at this point of the chat, the facts stop driving the discussion and fear kicks in. Are you telling me that my Little League coach didn’t think I was the best hitter on the team when he had me batting third? Learning that the earth was round was a bitter pill. These conversations around challenging conventional wisdom in our sacred game must be had with care, lest we seal minds with an even tighter-fitting lid. Usually this is my cue to remind my conversational partner that every spot in the lineup is hugely important and moving a guy from the third to the second spot, or vice-versa, may not have a noticeable impact without projecting out over thousands of games. I even keep it to myself that I believe you make the switch anyhow, to begin the implementation of a superior practice, if nothing else. Studies have to be introduced over and over until the laggards begin to come around. This data concerning lineup optimization is not new after all, and Robinson Cano still hits third for the Mariners daily.